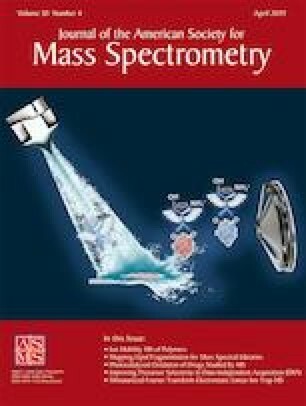 Recent advances in native mass spectrometry (MS) have enabled the elucidation of how small molecule binding to membrane proteins modulates their structure and function. The protein-stabilizing osmolyte, trimethylamine oxide (TMAO), exhibits attractive properties for native MS studies. Here, we report significant charge reduction, nearly threefold, for three membrane protein complexes in the presence of this osmolyte without compromising mass spectral resolution. TMAO improves the ability to resolve individual lipid-binding events to the ammonia channel (AmtB) by over 200% compared to typical native conditions. 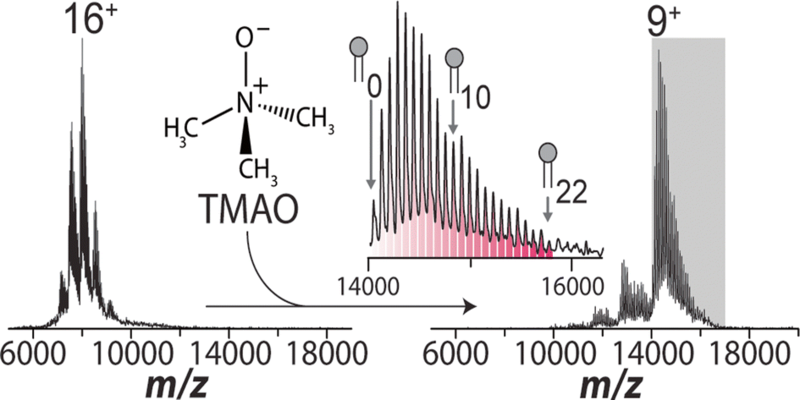 The generation of ions with compact structure and access to a larger number of lipid-binding events through the incorporation of TMAO increases the utility of IM-MS for structural biology studies. The online version of this article ( https://doi.org/10.1007/s13361-019-02187-6) contains supplementary material, which is available to authorized users.